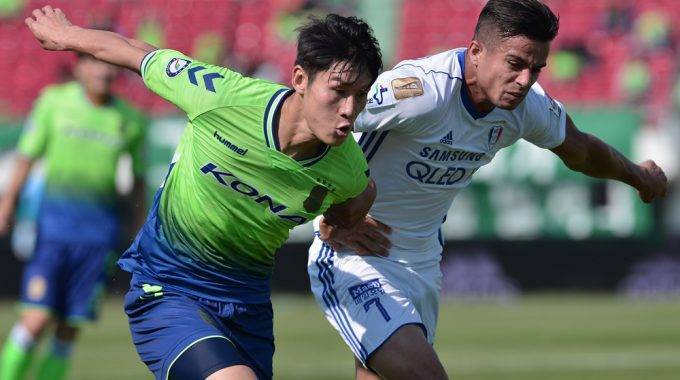 The 31-year-old made a debut at Ulsan Hyundai, where he recorded one goal and 14 assists in 143 games until he joined the military team Sangju Sangmu. The full-back was one of the key members when Ulsan clinched an ACL title in 2012. He also helped Vietnam’s current head coach Park Hang-seo to lead Sangmu to achieve promotion in 2015 as well as an entrance into the top split in 2016. That was when he showed his free-kick skills, becoming the team’s main free-kick taker. After his military service was over, Lee headed to Jeonbuk Hyundai. It’s a known fact that Jeonbuk’s head coach Choi Kang-hee had wanted him for a long time. However, a sports hernia didn’t let him shine through; he appeared in 8 matches only and missed all the international matches subsequently. The Korea national team was more affected than the 2017 K-League Classic champion. The Korea national team has been having a problem finding the right fullback. In the left wing, Kim Jin-su and Kim Min-woo have put in a decent performance. Kim Min-woo’s appearance against Japan during the EAFF E-1 Championship especially was brilliant. However, the right full-back has not yet been settled. Choi Chul-soon and Ko Yo-han have been given chances but both have their weaknesses. While Ko is more suitable for a three-back formation, as he is not a typical, traditional right full-back, Choi brings stability to Taeguk Warrior’s defense, but his contribution to attack is limited, especially due to his inaccurate crosses. Lee Yong, on the other hand, can deliver accurate crosses, which often starts the counter-attack. His full recovery can solve the national team’s problem ahead of 2018 World Cup.